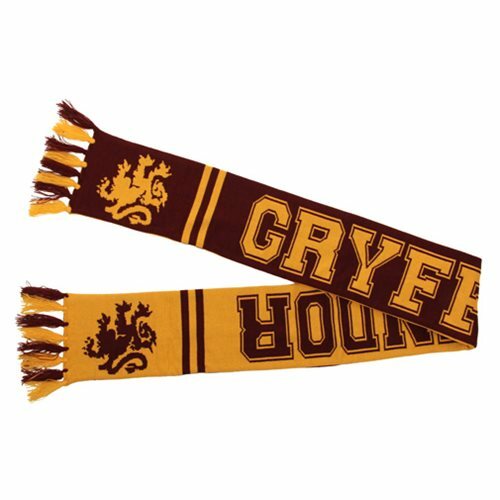 Your daring and bravery will shine through when you wear this Harry Potter Gryffindor Reversible Knit Scarf. Show your house pride in this scarf made of high quality soft gold and deep red polyester. Look for details worthy of founder Godric Gryffindor in the beautifully leonine emblem and collegiate knit design. Measures about 64-inches long. Ages 14 and up.